1) Cook pasta, drain and rinse with cold water until completely cooled. 2) Stir all ingredients in large bowl. If desired, season with salt and ground black pepper. Pour dressing over cabbage mixture and toss gently. 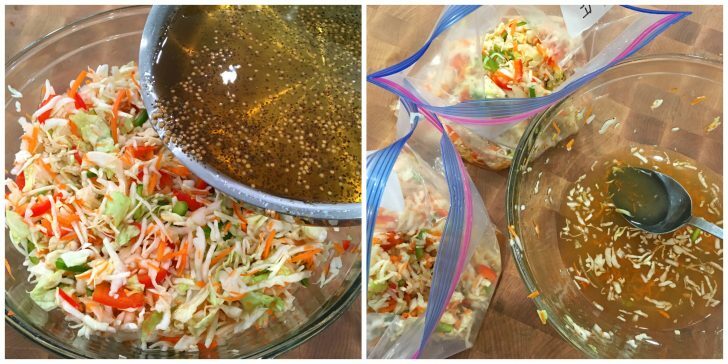 Before serving, dissolve coleslaw at room temperature. Salad Can be Stored in freezer up to 1 month.